EXPERIENCED TECHNICAINS AND DEPENDABLE SERVICE. THAT'S SCR. At SCR, our commitment to your facility and your company’s success continues long after your system has been installed and the project completed. 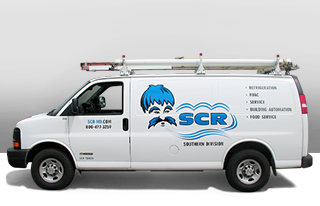 Count on the experienced, professional SCR staff for all your refrigeration and HVAC service and maintenance needs. With locations throughout Minnesota, we are the area’s premier commercial refrigeration, HVAC, food service, and building automation contractor, from the initial inquiry to ongoing maintenance and emergency service. Turn to the service and maintenance experts at SCR. Contact us today. For emergency service, call 800.827.1642.